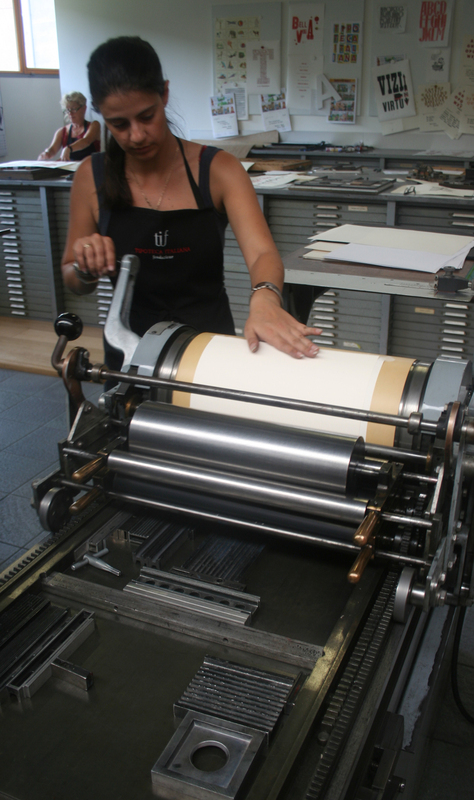 Diana Pasovski printing her personal keepsake. 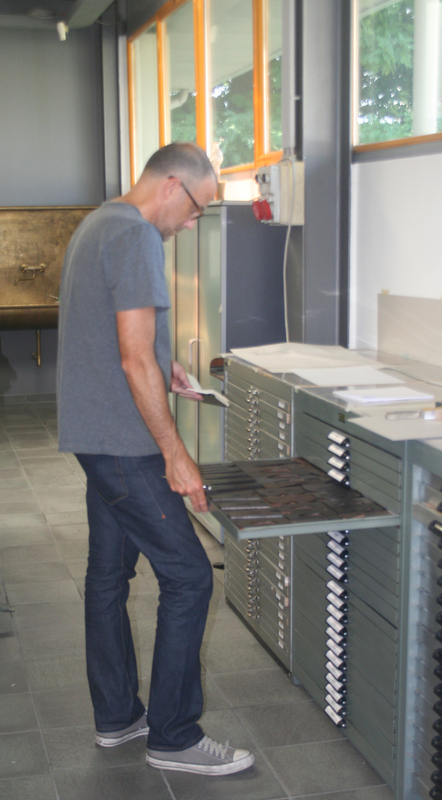 David Shields choosing a wood typeface for his keepsake. 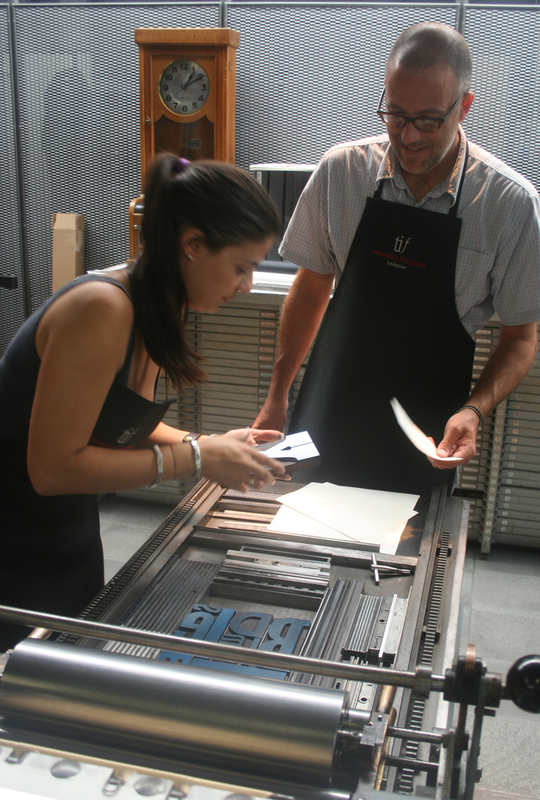 David Shields and Diana Pasovski proofing a wood type composition.